Germany is the first NATO state to launch a “self-contained” cyber command unit designed to shield IT and weapons systems from growing attacks. The Bundeswehr’s Cyber and Information Space (CIR) boasts a status equal to that of the army, navy, and air force. “On April 1, alongside the classic forces of the Army, Navy and Air Force, the new Cyber and Information Space (CIR) command will be created,” Lieutenant General Ludwig Leinhos, CIR’s new commander, told German news weekly Focus on Friday. Based in the former West German capital of Bonn, CIR will start off with 260 IT specialists, but will grow to 13,500 military and civilian personnel by July, he said. “This corresponds roughly to the personnel strength of the navy,” Leinhos noted. “Among the NATO members we are the first to have a self-contained operational department,” he said referring to the CIR, adding that Germany is also “one of the leading [countries] in terms of cyber security” in the bloc. Attacks on the Bundeswehr’s computer network occur on a daily basis, the general said. 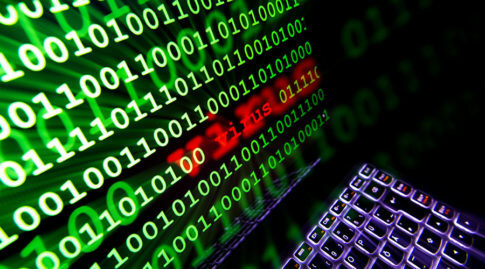 In the first nine weeks of this year alone, the IT systems were targeted at least 284,000 times. “We are in a constant race between the development of attack options and defensive capabilities,” Leinhos told Focus. German Defense Minister Ursula von der Leyen announced the creation of the cyber command two years ago in a bid to protect the military from mounting online attacks, AFP reported. German Chancellor Angela Merkel said last month that protecting infrastructure from potential cyber-attacks was a top priority and the federal government had to work together with localities on that. In November 2016, around one million Deutsche Telekom customers could not go online for hours due to what the company called a cyber-attack targeting household routers. Shortly after the attack, Merkel hinted that it may well have been masterminded by Moscow. There was no evidence, however, to back up the allegation. Calvin And Hobbes: The Problem With People ….